Kids will will love creating unique and vibrantly-colored greeting cards, holiday wishes, thank-you notes and invitations with this imaginative craft kit from Made by Hands! 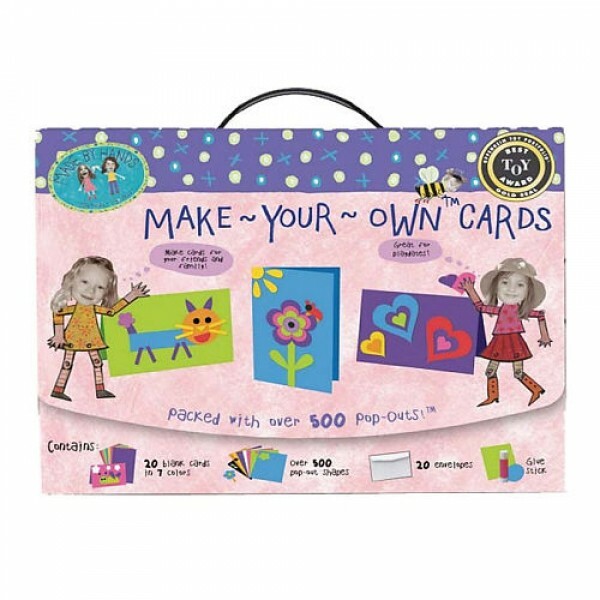 Whether making a personalized birthday card for grandma or a thank you card for a friend, this kit makes it simple for children to create unique and beautiful cards, all on their own. The kit includes over 500 fun and easy pop-out shapes that require no cutting, 20 blank cards in 7 colors, 20 envelopes, and a glue stick. These eco-friendly cards are created from recycled material and printed using Earth-friendly soy-based ink. 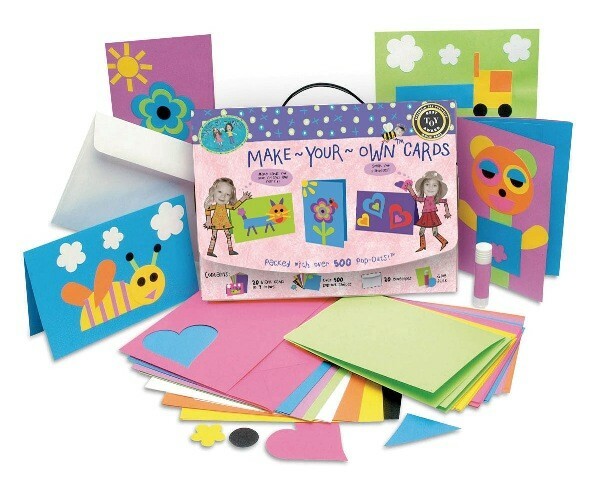 Perfect for a play date or as a solo craft, this colorful kit will inspire young imaginations and create lasting memories for both the creators and the recipients of these hand-made cards!